In the larger restaurants where so many of us eat today – the chains that have the same restaurants that we see whether we are driving near Atlanta, Los Angeles or Boston – most of the food is prepared in an entirely new way. Partially or completely prepared frozen entrees arrive from central production facilities that resemble factories, not kitchens. And when those meals arrive, they are stored in freezers and then prepared quickly, using high-tech restaurant equipment. If you’ve read this blog before, you know that we have written posts about thermocouples – those fascinating devices, made up of two different metals that are used to monitor temperatures remotely. 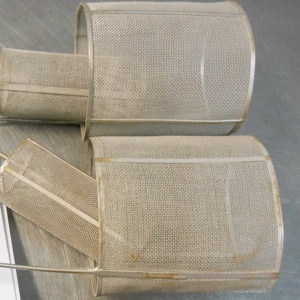 We have also written about the probes, attached to the ends of thermocouple wires, which are used to monitor temperatures in medical testing and manufacturing processes. We are not talking about the more common thermocouple set-ups that are used to monitor temperatures in water heaters, kitchen stoves, air conditioners, or pasteurizing operations. We are talking about specialized thermocouples from nuclear power plants, non-nuclear-power plants, jet engines, gas turbines, and other places where there is a need to monitor sustained levels of extremely high temperatures. Certain precious metals and platinum alloys are used in places like those because they will not oxidize, even at extremely high temperatures. Where lesser metals would fizzle out, they keep on monitoring. What Metals Can You Find in High-Temperature Thermocouples and Probes? Let’s take a look at what these high-temp thermocouples can contain. Molybdenum – This is one tough metal. It holds up in temperatures up to 4000°F. Platinum-Rhodium Alloys – Used in applications up to about 3000°F. Tantalum – Used in applications up to about 4000°F. Platinum-Molybdenum Alloys – Used in application up to about 3000°F. How Can You Determine the Value of High-Temperature Thermocouples and Probes? If you have scrap from high-temperature applications, don’t hesitate to find out how much it can be worth. If you call us at 800-426-2344, one of our expert consultants can explain how simple it is to send in a sample of your scrap for testing. We’ve written about thermocouples before on this blog, and today we are going to provide you with a checklist of where to find them. But before we do, let’s get a quick overview of what they are . . . Shown: platinum thermocouple wire scrap, a very profitable type of scrap Specialty Metals Smelters and Refiners can recycle for your company. Thermocouples, like batteries, are devices that are made up of two or more metals that generate voltage. When they are subjected to temperature changes (or radiation changes in some cases), changes occur in the amount of voltage that they generate. In fact, when one end of a long wire thermocouple is heated, that voltage increase can be measured at the other end. So the result is that thermocouples can be used to remotely measure changes in temperature. If you’re supervising a production line, for example, thermocouples can help you monitor temperature changes from the safety of a control room that is located at some distance from the line itself. Thermocouples can also be used to ensure the safety of manufacturing operations. If the temperature in a piece of equipment rises above safe levels, for example, a device equipped with a thermocouple can automatically shut it down. What Precious Metals Do Thermocouples Contain? Depending on the application, they can contain a number of different precious and non-precious metals. They can be made of: pure platinum, platinum/rhodium alloys, Palladium/Platinum/Gold alloy, nickel alloys, tungsten alloys; and even a combination of 2 pure noble metals like Gold and Platinum or Platinum and Palladium. If you check those locations and find that you have a quantity of thermocouple wires and/or devices, we can help you quickly understand their worth and recycle them for top dollar. Call us at 800-426-2344 to learn more. Those people are right. Rhodium is indeed one of the precious metals. And “precious” is the right word, because rhodium is trading at nearly the price of gold on the London Fix. But there’s a lot more information you should know about rhodium too – information that can help you refine this “other” precious metal for quite a lot of money. Here’s a primer of useful information about rhodium. 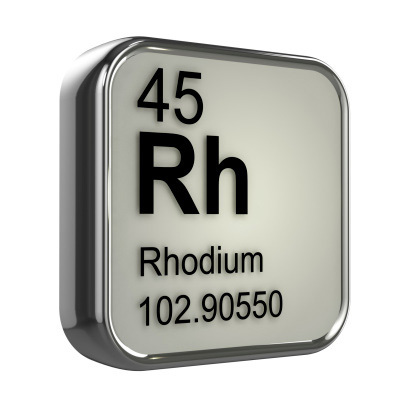 What’s the history of rhodium? 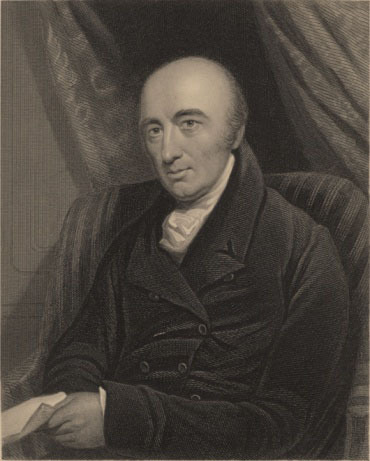 Portrait of William Hyde Wollaston, who first extracted Rhodium from ores containing platinum and palladium in 1803. In 1803 a British scientist named William Hyde Wollaston used a chemical process to extract rhodium from ores that also contained platinum and palladium. Because the metal is reddish in color, it was named rhodium from the Greek word rhodon, which means “red.” For a long time, the metal wasn’t widely used, but about 100 years after its discovery, it found its way into laboratory devices that measured high temperatures. Rhodium’s “big break” came in the mid-1970s, when rhodium-containing catalytic converters were first used to reduce the pollutants in automobile exhaust emissions. Since then, the demand for rhodium – both new and recycled – has remained strong. It is. It’s element 45 on the periodic table. Rhodium is one of the rarest elements. It is estimated to make up only 0.0002 parts per million of the earth’s crust. The largest known concentrations of it are in the Ural Mountains in Russia, in South Africa, and in Ontario, Canada. Because rhodium is both scarce and expensive to extract from ores, its value is almost certain to remain quite high. What are rhodium’s unique properties? Rhodium is hard, chrome-like in appearance, and very resistant to corrosion. What is rhodium used for? Until recently, rhodium was used extensively as thin plating on jewelry. But because the process of rhodium plating creates large quantities of acids and other noxious byproducts that must be discarded, it seems that the age of rhodium plating is on the wane. The demand for rhodium for automotive catalytic converters, however, is not about to lessen. That demand, coupled with the scarcity of rhodium in nature, helps assure that you can continue to receive high payouts for rhodium that you recycle using a top precious metals refiner like Specialty Metals Smelters and Refiners. How much is rhodium worth? Rhodium is currently trading for about $1,415/troy ounce on the London Fix. For comparison, gold is trading at around $1,300 (give or take the day! ), and platinum for about $1,428. Where can I find rhodium that I can recycle? If you own any of the rhodium-bearing items that are described in today’s post, call Specialty Metals Smelters and Refiners at 800-426-2344. We want to help you recycle the rhodium that you own. And we know that you will want to convert their value into cash. If you’re on the lookout for precious metals that can be recycled by a qualified precious metals refinery, here’s a rule of thumb to keep in mind . . .
That simple principle can lead you to sources of recyclable precious metals in a variety of scrap metals. Let’s take a closer look. Shown: unused welding rods, sputtering targets and other manufacturing equipment can be recycled for their precious metals by Specialty Metals. In simple terms, welding and brazing are processes that use high heat to bond metals together, often by raising the temperature of a welding rod and the metals that are to be welded together to their melting point. The rod and the metals can then flow together, forming a bond that is nearly as strong as a single piece of metal. To allow that welding, the temperature can be raised by the introduction of high electrical voltage (in arc welding) and also by using a torch that burns acetylene or another gas at high temperature. Sometimes these processes are done by hand. In other cases, they are completed by robotic and other production-line welding machines. Welding and brazing rods and fluxes usually contain quantities of silver, manganese, zinc, cadmium, chromium, copper, fluoride, lead, or vanadium. Sometimes those metals are applied to the outside of welding rods, where they help the melting rods combine with the metals that are being welded or brazed. So the bottom line is that quantities of unused welding rods or wire can contain valuable metals, and so can quantities of welding scrap that appears worthless. Shown: the kind of gas appliance that uses a thermocouple wire that contains valuable precious metals that can be recycled and refined. As we have noted before on this blog, thermocouples are devices that are used to monitor or control temperatures remotely. They can contain platinum, rhodium, tungsten, rhenium, and other valuable metals. So if you have a quantity of old production- line equipment that was used to make ceramics, annealed products, or welded components, don’t toss it away before you find out what kind of thermocouples it contains. And guess what? Even old home appliances like stoves, furnaces and water heaters contain thermocouples that could be valuable. Catalytic convertors are another place where metals and heat meet – and again, they contain precious metals, most often platinum, palladium, and rhodium. Whether you have 500 or more old automobile or truck catalytic convertors to recycle or are dismantling a factory where diesel or other internal combustion engines were used, remember that you probably own a quantity of those valuable precious metals. You will find silver and other precious metals in supplies and equipment that are used in a variety of other applications that include casting, metal fabrication, jewelry-making, pasteurizing and even food production. If you remember the rule, “heat plus metal equal dollars,” chances are you can discover sources of metals that we can recycle and refine for you. If you call us at 800-426-2344, we can help you turn your discoveries into cash. If you own used industrial equipment that was used in high-temperature settings, it is almost certain that you are in possession of a quantity of used noble metal thermocouples. What are they, and how much are they worth? First, What Is a Thermocouple? What Are Noble Metal Thermocouples and Do They Contain Platinum? Noble metal thermocouples are so called because they contain quantities of platinum and rhodium. They are usually classified by their manufacturers as Type B, R, or S thermocouples. They are used to measure or monitor temperatures in a high range between about 1800ᵒ Fahrenheit (982ᵒ Centigrade) through about 4200ᵒ Fahrenheit (2300ᵒ Centigrade). Base metal thermocouples are more common, and less valuable. They typically contain nickel alloys. They are classified by their manufacturers as Type E, J, K, N or T thermocouples. You are most likely to find them in equipment that is used to measure or monitor temperatures below about 1800ᵒ Fahrenheit (982ᵒ Centigrade). How Can You Tell What Kind of Thermocouples You Have? As I noted at the beginning of today’s post, noble metal thermocouples are found where temperatures run high – in the range of 1800ᵒ to 4200ᵒ Fahrenheit. Those settings can include production lines, testing laboratories, firing kilns – anywhere high temperatures need to be measured or monitored. One example? Robotic arc welding equipment that must shut down if temperatures start to run too high. In some cases, you can learn whether you have precious metal thermocouples by reading the documentation that accompanies the equipment. (Don’t have the specs? Don’t forget that you can often learn them by looking at a manufacturer’s product brochures or specifications online.) In some cases, thermocouple specifications are stamped onto small plaques that the manufacturer attached to the equipment. And in some cases, the thermocouple’s classification (Type B, R, or S, for example) will be stamped somewhere on the thermocouple itself, or on gauges or valves that are attached to it. How Much Are Your Recyclable Platinum and Rhodium Thermocouples Worth? Precious metals like rhodium and platinum can be recycled by the best platinum refiners very profitably – platinum for more than $1,400 per troy ounce, and rhodium for more than $1,000. If you call Specialty Metals Smelters and Refiners at 800-426-2344, we will be happy to discuss the potential value of your used, recyclable thermocouples.